Caramoan, the present location of the reality TV show Survivor: Philippines, is relatively unspoiled. The sleepy little town, home to countless islands, beaches and karst formations, is not well developed yet in terms of tourism facilities. It does get a bit busy during the summer, so when we went there last April, we looked at doing a homestay as an alternative to finding an inn or a resort where we can stay. 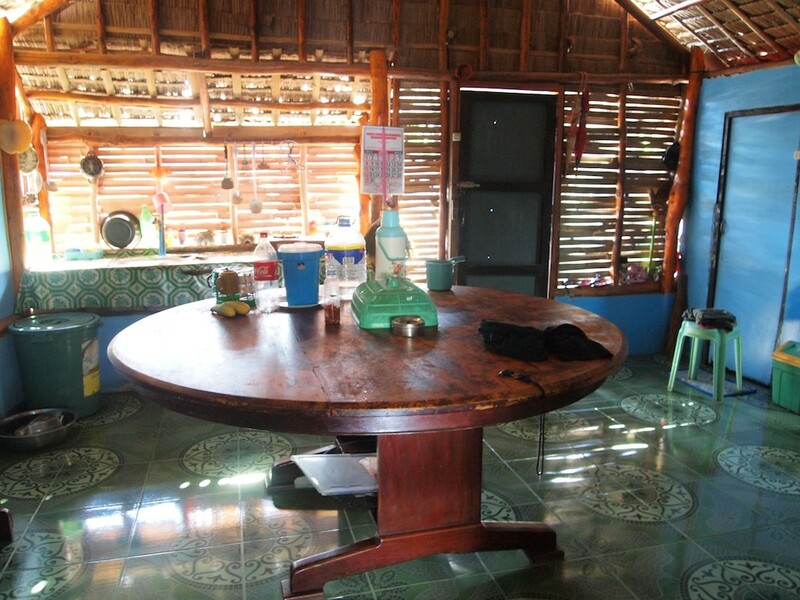 A homestay arrangement is to rent a room or a house from the local residents, as a way of helping the local economy and having a deeper immersion in the local culture. Another benefit is that it is also cheaper than renting a room in a hotel or a resort. The owner and his family would usually go about their business and keep you to yourself but there are opportunities to interact with them. 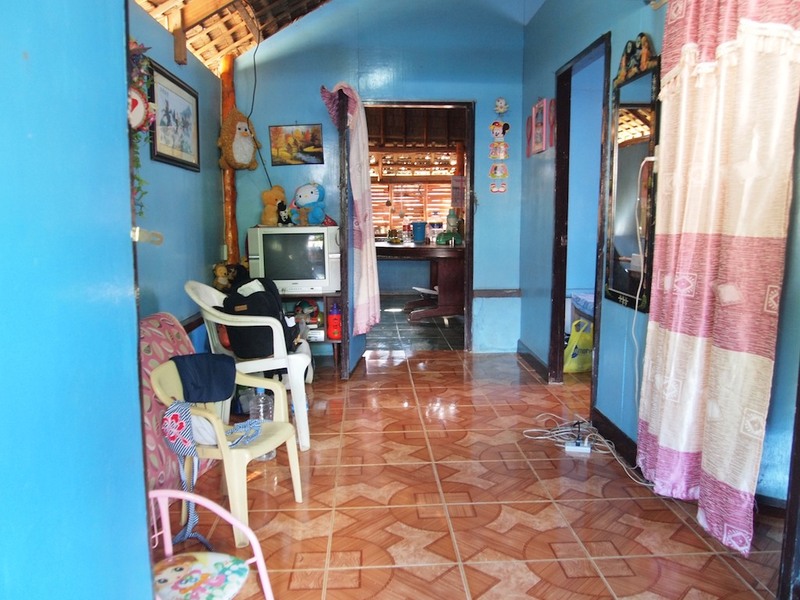 Homestay arrangements may also include meals and laundry, but that would depend on the family who renting out the place. We wanted to stay near the beach and away from the town center and we actually found one (two actually, we stayed on one for a night, and to the other the rest of the trip) just after our boat docked in the pier. We were introduced to a guy named Rodel, who acted as our guide and who was the one who arranged the homestay and our (home-cooked) meals, which we get from another house. Our accommodation in Caramoan was actually my first experience in homestay (aside from staying in a friend or relative in the place where I'm going). 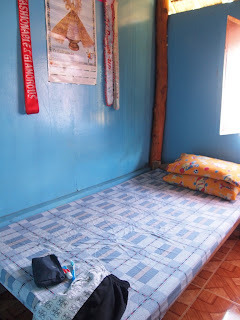 As I have come from the province, I am not a stranger to the accommodation that we got. On our first night at the first house we were only given a room to accomodate all us four, which I did not find comfortable. Electricity was intermittent in the town, and there was only a small fan to cool our room. The windows do not have screens, so we also have to worry about mosquitoes and other bugs. The water for showering also comes from a well, and we have to use a pail and dipper to bathe. The second house was so much better. We have the whole house to ourselves, and with two rooms, made sleeping a little more comfortable and restful. There's a kitchen, a ref, and even a TV, but, as there are lots of places to discover, we weren't able to use them. The hammock at the porch, was a welcome sight after a long day at the islands. All in all, it wasn't bad at all. It's a nice break from the usual where we stay in a small hotel, and the experience of being with the locals and being able to contribute to them directly are good. Considerations: It would help to set the expectations at the start, and things such as rent, curfew, accommodations, and security should be discussed with the owner and agreed to from the outset. As precaution, you should determine whether the neighborhood is safe, and always leave your contact information with a friend or family. How to Get To Caramoan: Take a bus or or the Bicol Express train to Naga City from Manila (or plane, either to Naga airport or Legazpi City), then another bus to San Jose. From San Jose, take a jeepney or tricycle to the jetty where you can take a 2-hour boat ride to Caramoan town. The land route to Caramoan is not recommended. You may also take a ro-ro to Caramoan from Sagnay port. 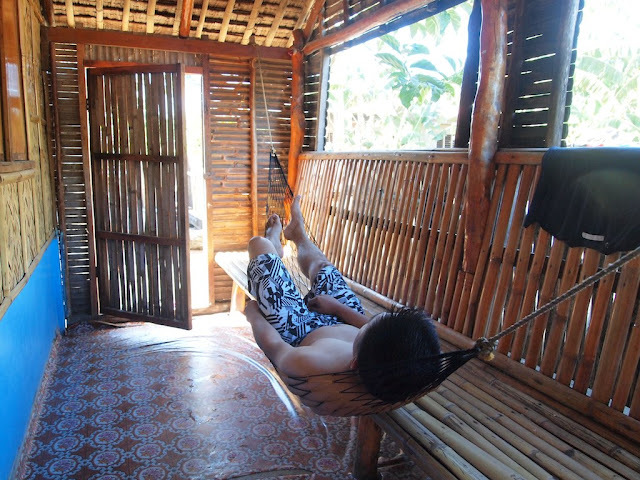 If you need a guide and accomodations, contact Rodel (+63.912.687.1654). He can arrange everything, from transportation, home-stays, food and banca rental. We paid PhP 2500 per person for 2 nights 3 days all in, including food, banca, room rental, and transport to/from the pier.